As you might hear me answer the phone, "Hi, this is Joe"
My wife, Mickie, and I started this "thing" we call Woodchuck Creations. First of all, I am a Jack of all trades! Mother taught me ceramics and leather working. Dad did a true ground-up home remodel. He jacked up the house, poured concrete footings and floor, set the house down and proceeded with the rest. All while having a day job felling timber. This was before my 12th birthday. I learned to work all day and half the night from them. Many people have asked why a woodchuck would do tiles? 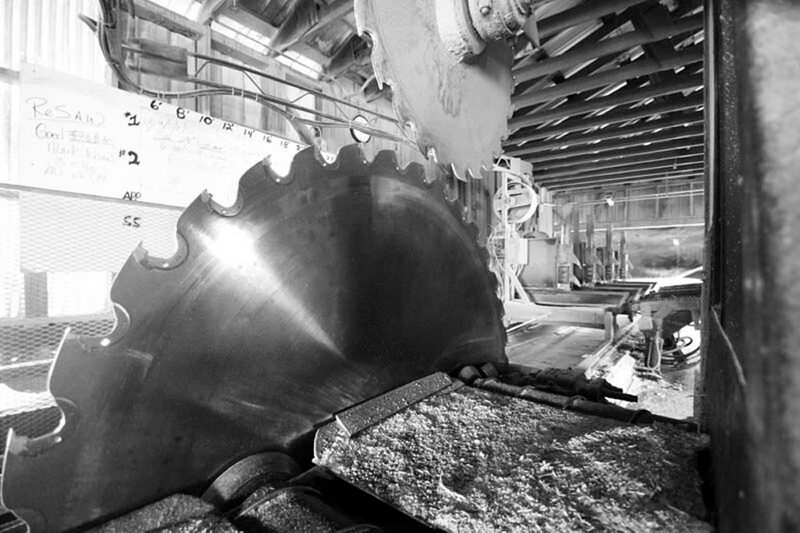 Since 1980, I have been the head sawyer for Hunts Timbers, a small sawmill in northwest Montana. The head saw cuts logs into lumber. I operate that saw. 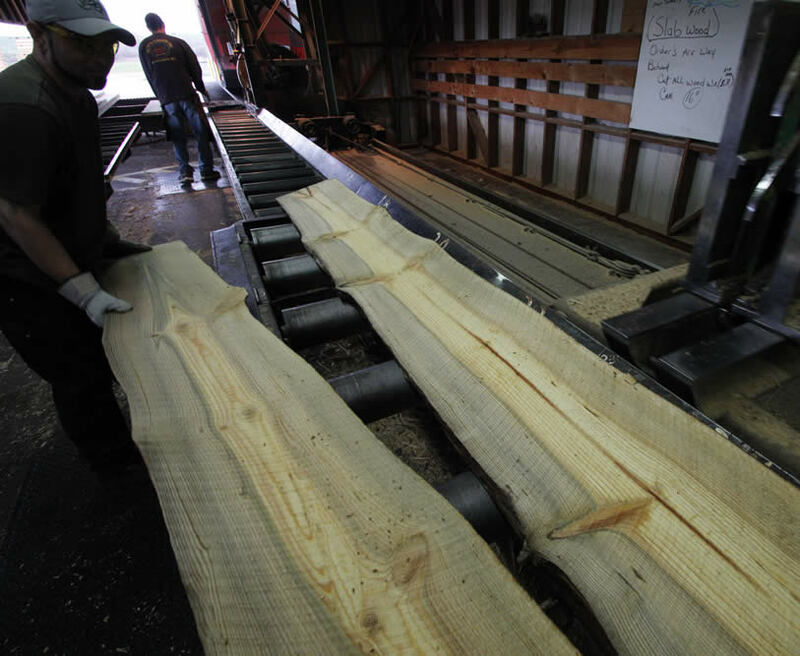 Some of the boards are low grade by the lumber grading rules. Notice the coarse grain, pitch pockets, blue stain and spike knots. For boards, it's junk, but when combined with small logs it makes beautiful furniture. I would sell that furniture in a crafters mini-mall in Missoula, at Christmas bazaars and on the Woodchuck Creations website. The mini-mall had 50 to 80 vendors. One day we were informed the mall would close. I heard some of the vendors say "I don't know what I'm going to do." I found that some people are great with their hands but quite poor at selling. I saw an opportunity, and in 2003 Montana Cowboy and Rustic was born to help sell their goods online. At the same time I was having trouble with shipping the furniture. The weight varied greatly and caused the freight charges to do the same. Too many customers refused to pay the high shipping cost so I eventually pulled everything that was too large to ship off the Woodchuck site. After one of the Christmas bazaars, a vendor which was a saddle maker by trade with whom I had talked, called and asked if I might be interested in purchasing his excess stock. Besides saddles, he was selling everything from horse hair jewelry to cotton placemats and wanted to get back to his core business, saddles. We made a deal and I took everything he had and added most to the Cowboy website with the Missoula crafters things. Before long, the horsehair became the star of the show. I had to go back to the saddle maker and find his source for the jewelry. On that same visit, he handed me a box he said he forgot about. In that box were about two dozen sets of really nice looking tile coasters and trivets. I took them to my nearest physical outlet and they all sold in less than a week. WOW!! I think it was the last customer who asked if I could get wall tiles like these trivets? You see, my best ideas have always come from my customers. After a bunch of research I told her "I think I can". About the customer ideas, one had to ask if I could get a hat band to match this horse hair bracelet? And in 2007 we created eHatbands! Because you ask, I take time and trouble to seek out high quality products that will be of value to you, my visitors. is registered with the Montana Secretary of State.